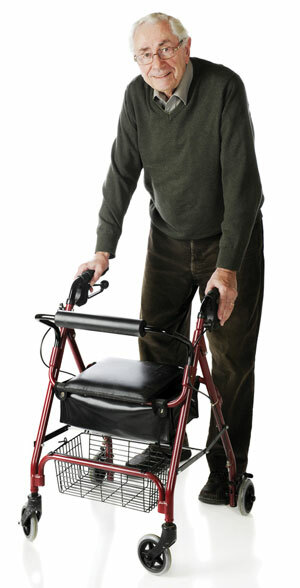 Osteoporosis is an extremely common condition. Osteoporotic fractures can be painful but osteoporosis itself has no symptoms. A person may not know that they have osteoporosis until their bones become so brittle that a strain or bump causes a fracture which would not have occurred in someone with healthy bone density. Osteoporosis (which literally means ‘porous bones’) is a condition characterised by loss of bone density, and weakening of bones. In many cases, bones weaken as a result of low levels of calcium, phosphorous and other minerals in the bones. When weak bones are stressed or injured, they often fracture, commonly in the upper spine, the hip or the wrist. Although it is commonly considered to be a disease of old age, loss of bone density can begin at a much younger age, getting steadily worse by the year. Every comprehensive osteoporosis management plan should include physiotherapy. Bone is a living tissue that can be built up through exercise, so a physiotherapist will work with you to design a personal exercise program that suits you. They will provide you with a range of exercises or physical activities to do at home, and give you advice on making exercise and everyday activity safe for you. Weight bearing exercises have been shown to contribute to bone health, helping to improve bone mass, or slow the rate of loss of bone density. Weight bearing exercise means any exercise that is done on your feet, so that gravity is exerting a force. Some examples of weight bearing activities include walking, dancing, tai chi, aerobics classes, and weight training. A physiotherapist can advise on the optimum ‘impact’ for you. Balance training is also important to improve mobility and reduce the risk of falls. Personally tailored exercise programs, such as those set out for you by a physiotherapist, have been shown to be more effective than general programs at helping people regain good balance. If you have already fractured a bone, physiotherapists can also give you specialised advice on pain relief and mobility.